I know, I know. You’ve heard it from me many times before. I’m a big advocate of packing light. There are many reasons why but most notably because you are simply safer if you’re not having to manage a bunch of luggage while making your way through an airport, train station or big city. While the Eagle Creek 40L Global Companion might be a little small for a big adventure, it’s definitely a great go-to bag for a shorter getaway, be it for business, vacation or adventure. Lucky you. I’m giving away one this month! 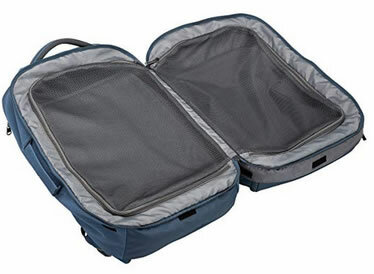 The Global Companion comes in two sizes, the 65L and the 40L. I have found that with my body size (5′ 2″) the 40L fits me better (although I have a friend who’s just a tad taller than I am and she loves her 65L). While the bag is designed as a backpack, you don’t have to actually wear it on your back. It also has two handles, one on the top and one on the side with the one on the side a better option for carrying it. Both handles are great for placing it and moving it around in the overhead bin. If I’m walking a short distance, I find myself just slinging the bag over one arm/shoulder rather than putting both arms through the straps and carrying it on my back. Shoe compartment in the bottom to keep them away from your clothes. Compression straps to keep the size minimized and easier for putting it in the overhead bin. Rainfly to protect the bag in bad weather. Padded laptop sleeve for easy removal at TSA. The bag weighs just over 3.5 pounds making it pretty darn light as bags go. Would you like you’re very own Eagle Creek 40L Global Companion bag? 1) Send me your favorite travel tip using this contact form. It can be anything! Favorite travel gear, a money saving tip, how to meet the locals, best way to book your flights. Let me hear it! 2) You’ll need to be subscribed to the Wanderlust and Lipstick newsletter. Click on that link and enter your email address. Be sure to check the WaL box. 3) This contest closes at 11:59 pm PST on July 31, 2018 and I’ll choose one lucky winner using a random number generator on August 1, 2018. 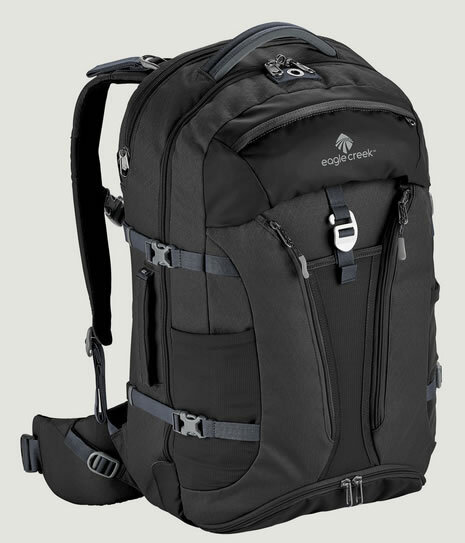 Approximate value for the Eagle Creek 40L Global Companion bag is $160! * Eagle Creek is happy to ship to a winner with an address in the U.S. or Canada. Winner will have three days to reply once being notified. If no response, a new winner will be chosen. I’m looking forward to hearing your tips and sharing them in a blog post on the Wanderlust and Lipstick site in August!